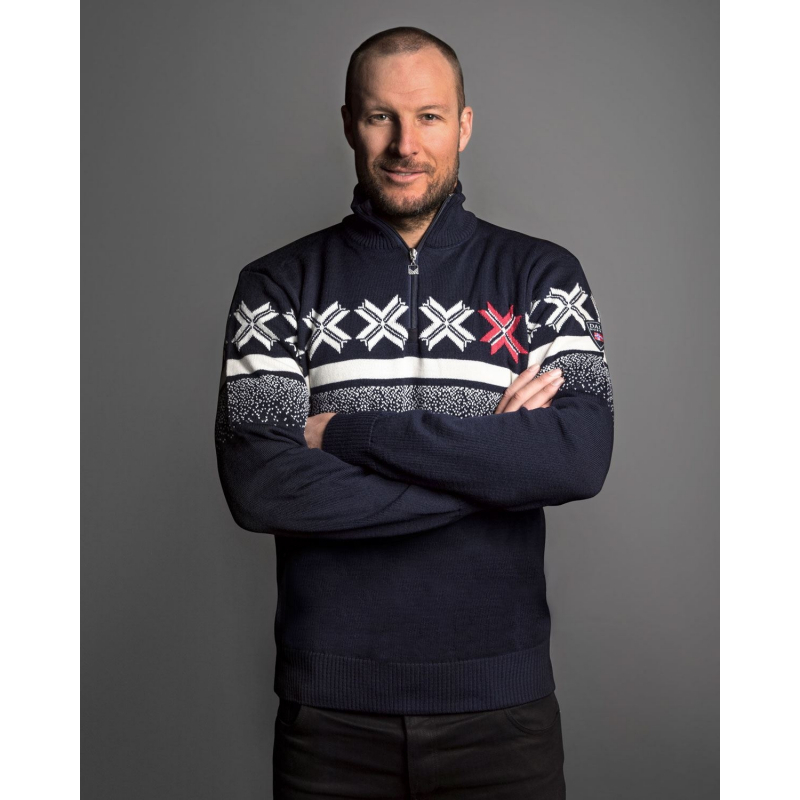 The official Olympic sweater for the Norwegian Olympic team designed exclusively for the 2018 Winter Olympic Games in Pyeongchang, South Korea. 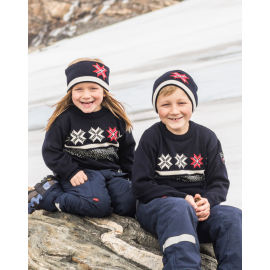 It is made with incredibly soft, lightweight Merino wool in a premium knit quality, suitable for both indoor and outdoor use. 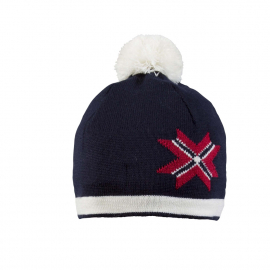 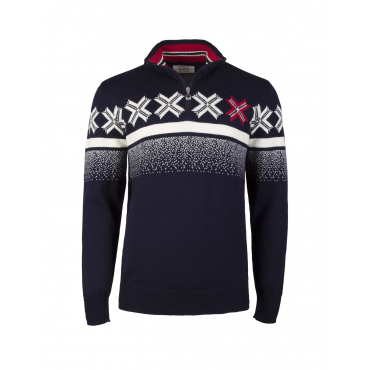 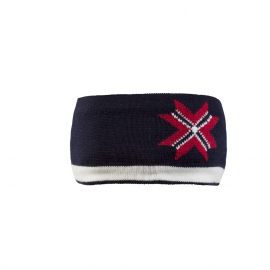 The design is inspired by the 1950’s Norwegian sports sweaters, featuring flag stripes inside the neck. 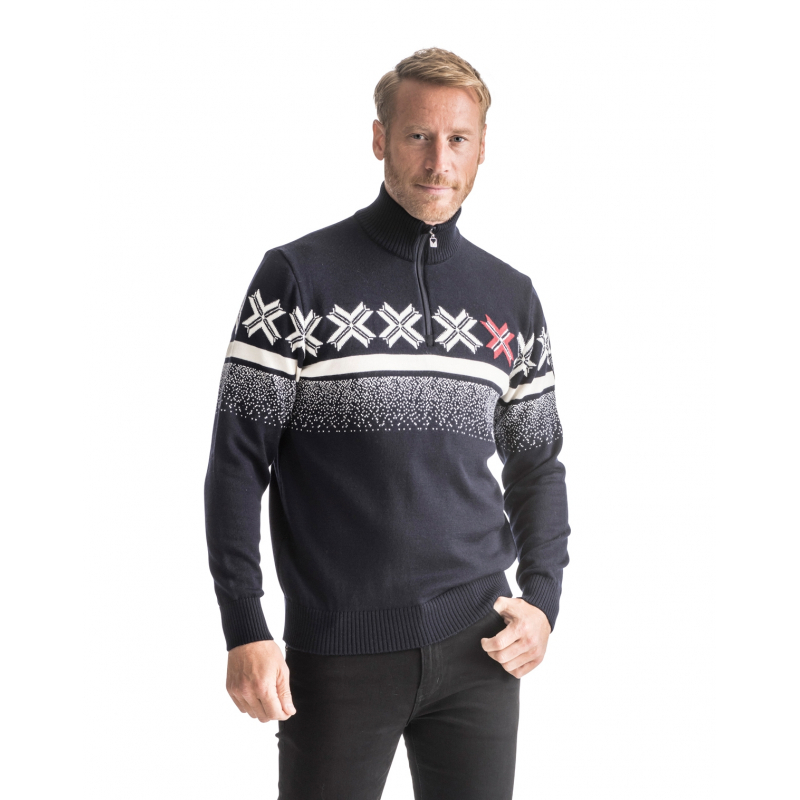 Among the pattern elements are falling snow and a traditional version of a Norwegian cross made to protect against evil.